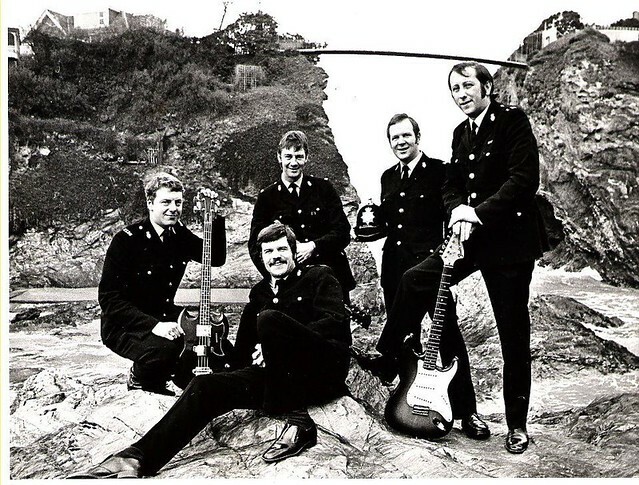 After leaving The Illinois State in 1970 Chris Robins gave up music for a new career in the Police force with his first posting taking him to Ilfracombe, Devon. In 1974 he moved to Exeter where he was approached by a colleague. 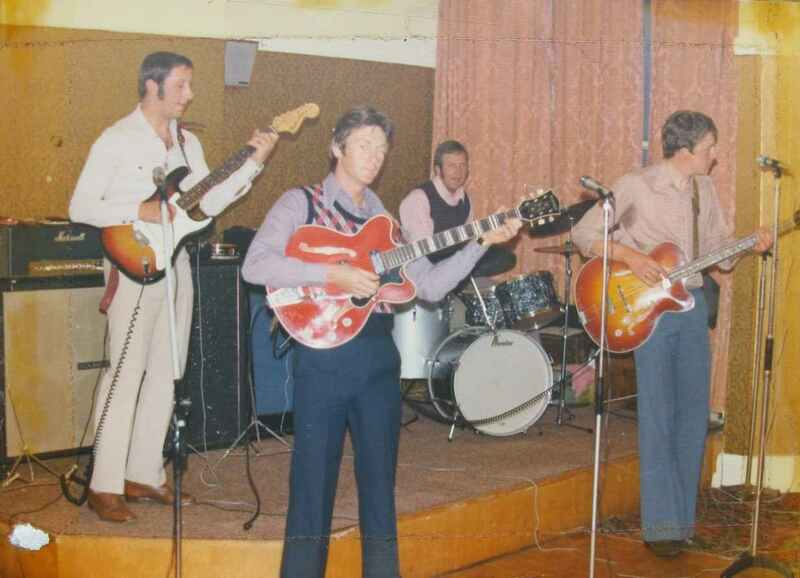 The Chief Inspector in Newquay wanted to put together a band for the purpose of undertaking charity work and Chris was asked if he’d like to audition. 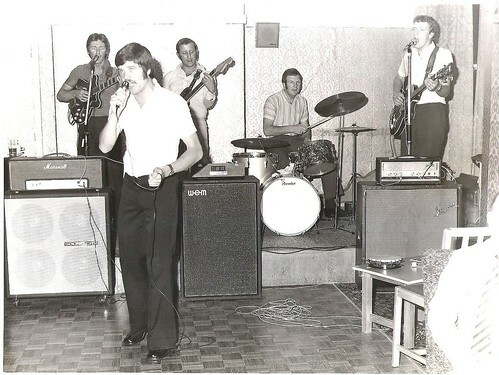 Despite being slightly disgruntled at the thought of being auditioned, having sang in several successful Cornish bands in the 60s, he tried out and was asked to join the band. 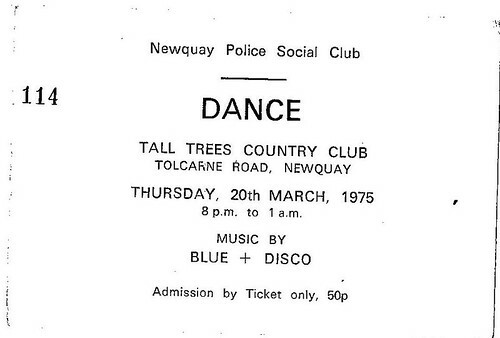 All the members of the newly formed Blue were serving at Newquay Police Station and Chris was soon moving back to Cornwall. 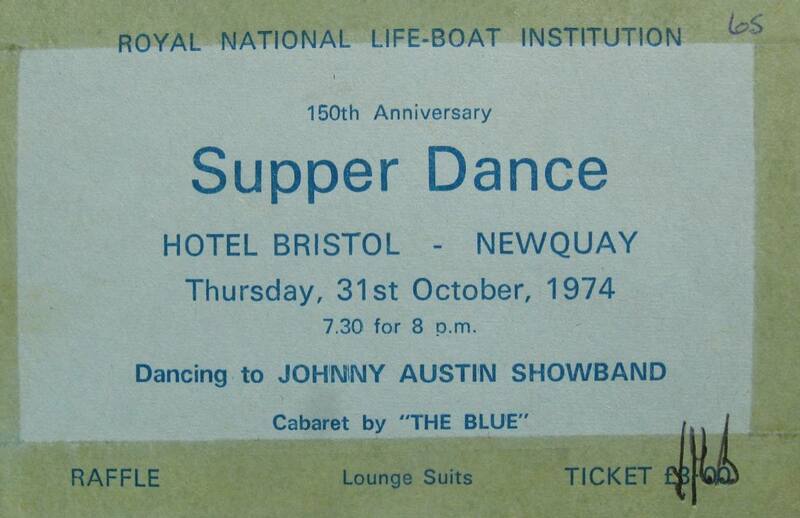 The band were soon playing some very successful gigs around the Newquay area, raising good money for the RNLI. They were also playing the Christmas Balls and RNAS Culdrose in Helston. 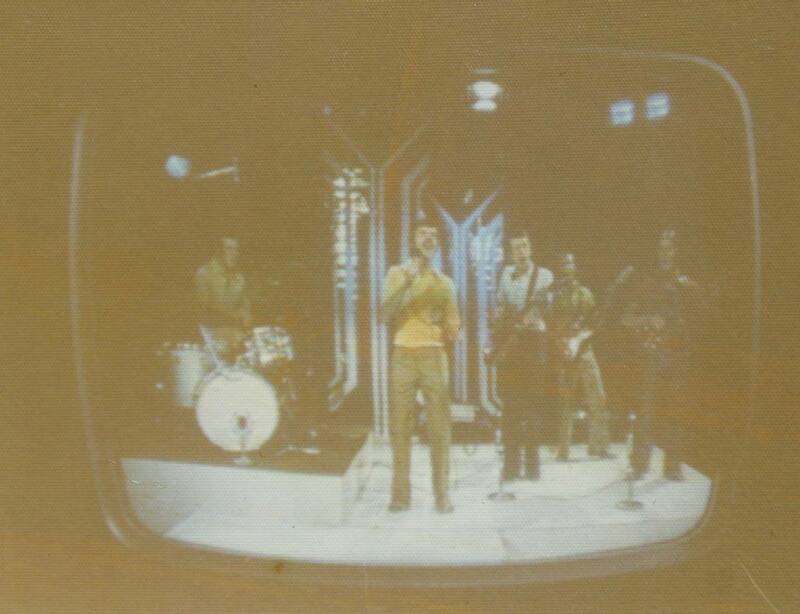 The band’s harmony sound coupled with the novelty of a band made up solely of police officers started to draw the attention of the media and in September 1974 the band performed on Westward TV. 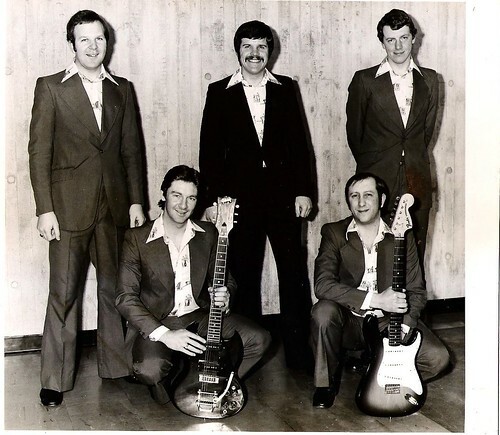 They also appeared on Nationwide where Frank Bough forgot to introduce the band and made the mistake of fading them out early! Curiously they also made an appearance in a South African newspaper around the time. 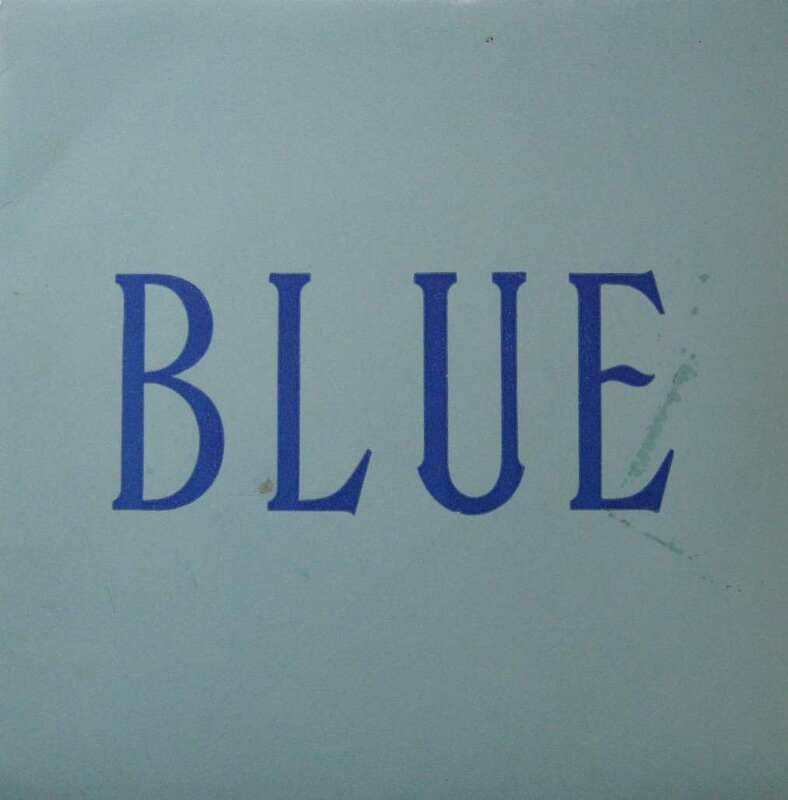 The big break for Blue came after they auditioned for Opportunity Knocks in Plymouth. 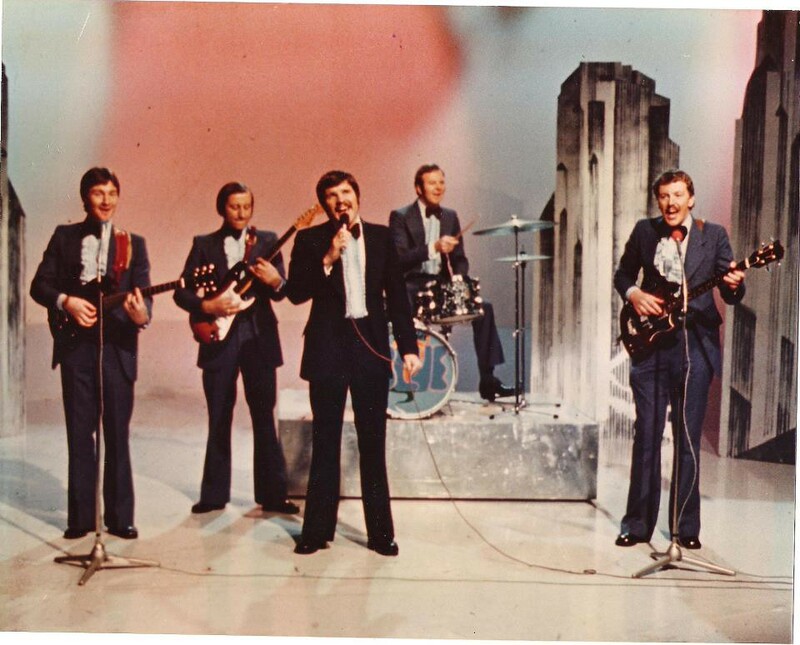 Singing “See You In September”, a hit by the Happenings in 1966, the band advanced on to the main show. 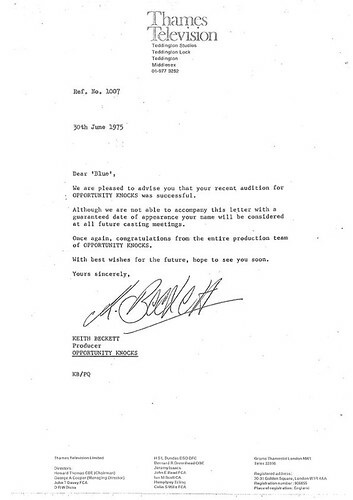 In November 1975 they made the trip to Teddington Studios to perform on the show, which they won. Unfortunately their position at the top was to be short lived as they were defeated the following week by Pam Ayres. 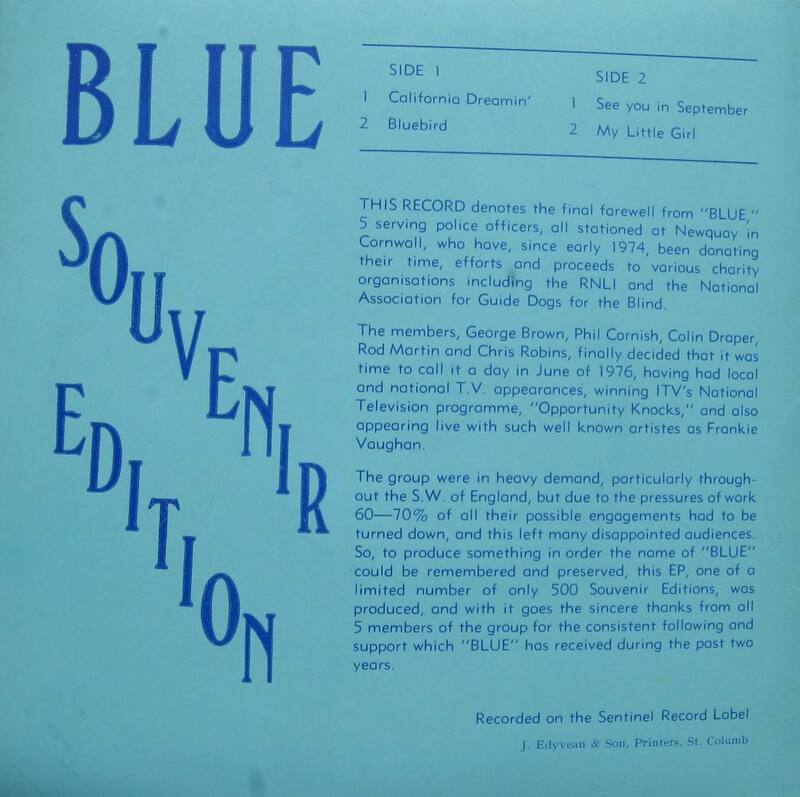 Blue continued to raise money for local charities and 1976 decided to call it day. As a thank you for the support of their fans they entered Newlyn’s Sentinel Records and recorded a four tracks EP of some of their most popular numbers. 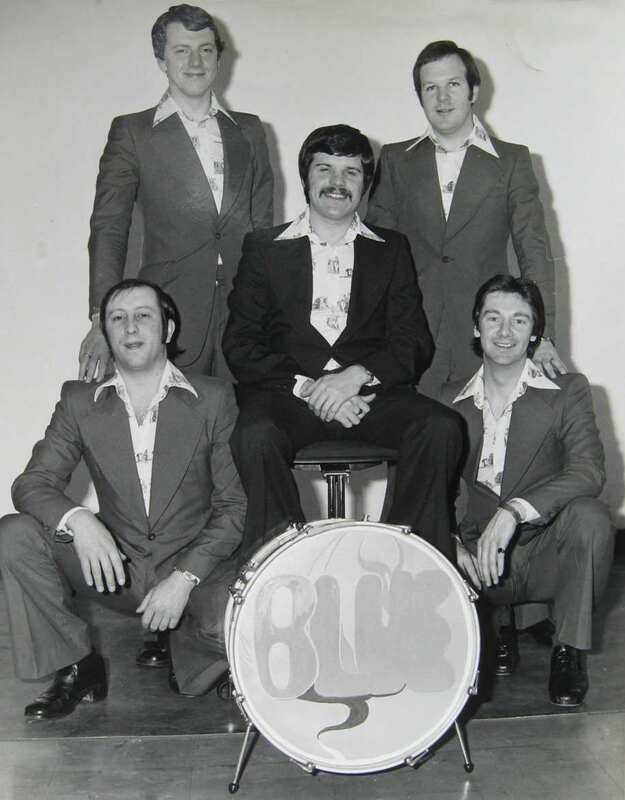 In the 1980s the band came back together again to raise money for a local hospice, in support for a colleague who was in a coma. The band recorded 14 tracks at Sentinel Records, of which four were selected to appear on the EP. With thanks to George here's the complete session from the original acetate.